What a disappointing month this has been. Its has all been pretty dire due to the extreme rain and at times heavy winds. 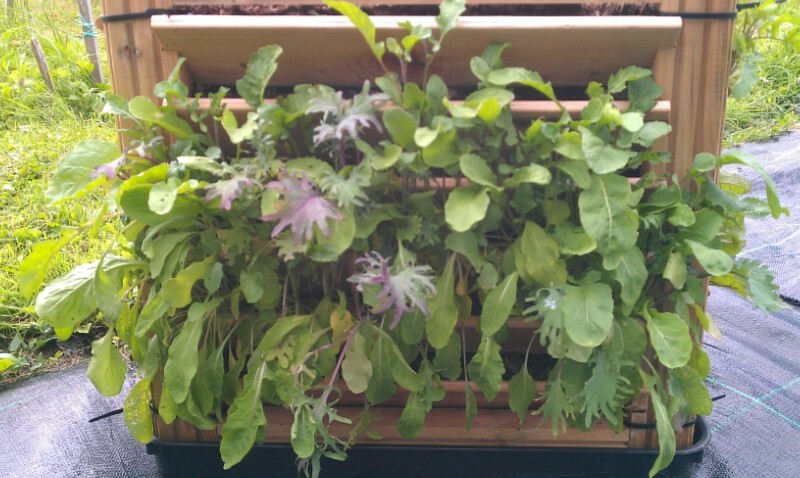 The agricubes have been producing salad crops like mad and at least have not suffered from lack of water. 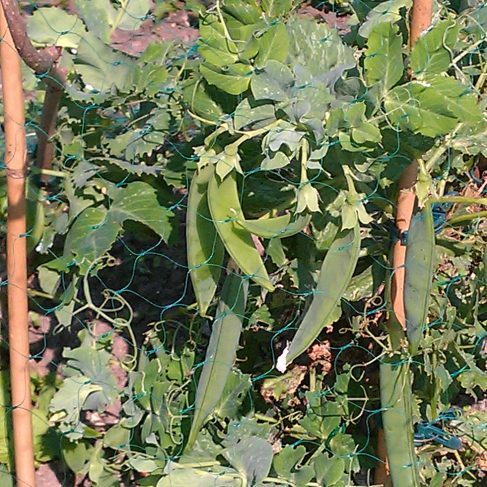 The broad beans have not been doing as well as in the beds, I expect because they are higher and so prone to damage from the wind. The beds have no blackfly but agricube broad beans have suffered terribly from a blackfly attack despite all my preparation and careful attention. 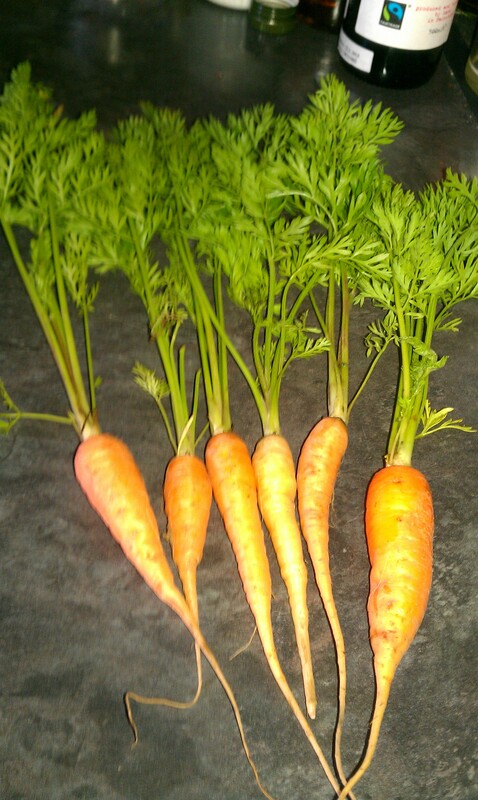 Fantastic crop from the beds though so I can only conclude that they need a lot more space. No pods yet and the beds are doing well. 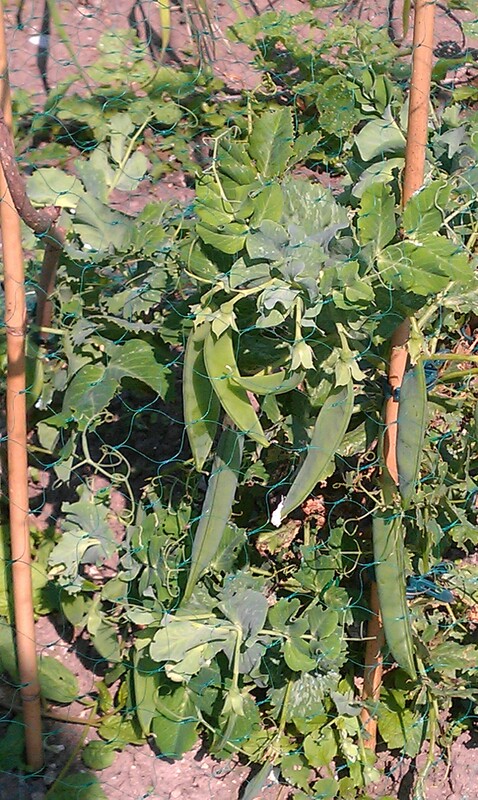 All the pea plants are failing in the cube and in one of my beds whilst some are just managing to cling to life and produce the odd pod in another bed. I had taken home just a handful of peas as that’s all there was…the rest have been more like escapees as I have seen evidence of their presence but no pods. 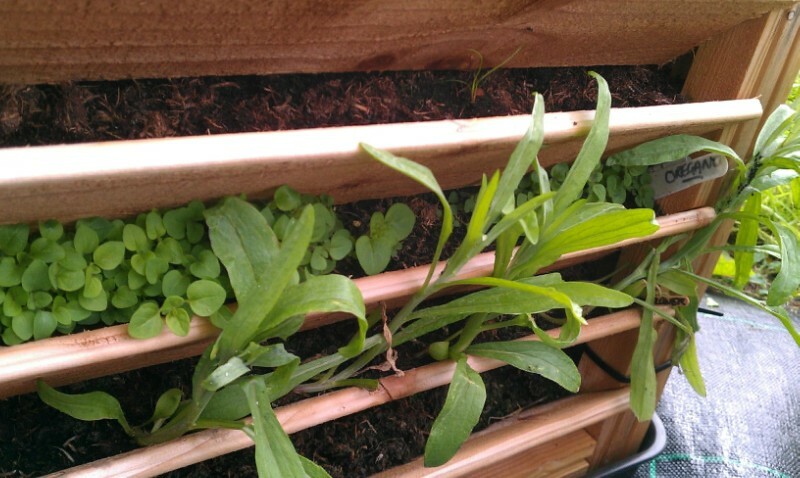 The scorzonera are starting to show foliage through the cube and nothing yet in the bed planted at the same time. Borage is growing at an incredible rate in the beds and slower in the cubes. Everything else like beetroot, spinach, radishes and the herbs and nasturtiums are all doing well in their various positions. 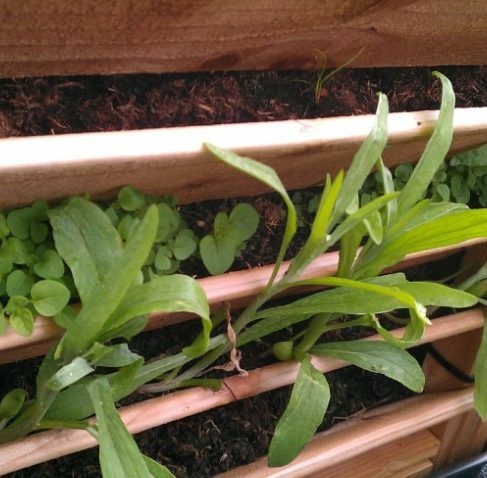 Spinach in the beds now doing well but took little longer to get going next to the agricube spinach. 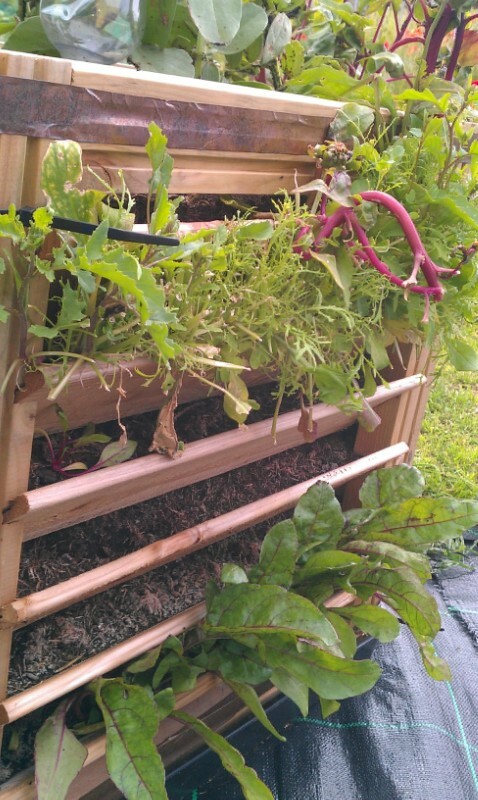 The rocket has been eaten by slugs in both beds and cube. Spring onions….don’t know where they went, started off well but have all but disappeared. I have half of the sown ones in my bed by the onions. I think wet windy weather proved too much of a challenge to the seedlings. I still have very little growth from the first agricube on one side despite turning them regularly and I think it’s possible that the seeds have been washed out or sodden from too much water. 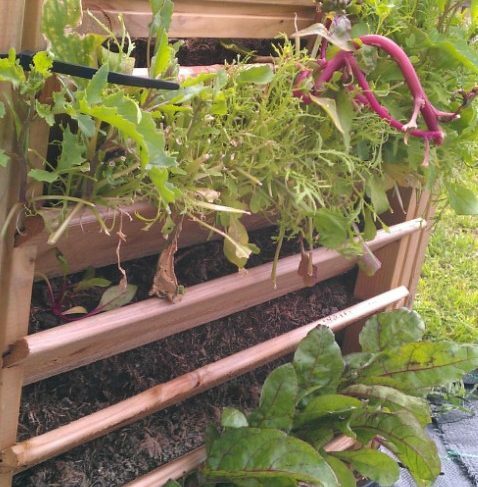 So all in all a great spinach and salad crop from the cubes made eating a delight, no peas….they all got eaten by the wretched slugs which are breeding in their millions and growing so big some of the offenders look bigger than the slow worms. All moans and groans at the allotment site at the depressing spaces where vegetables used to be. I think I’ve had the advantage of thinking that as a newbie my expectations were low anyway. A few.little successes anyway but even I am depressed. The cubes look in a sorry state but very little slug damage just foul weather has badly affected the growth and germination. 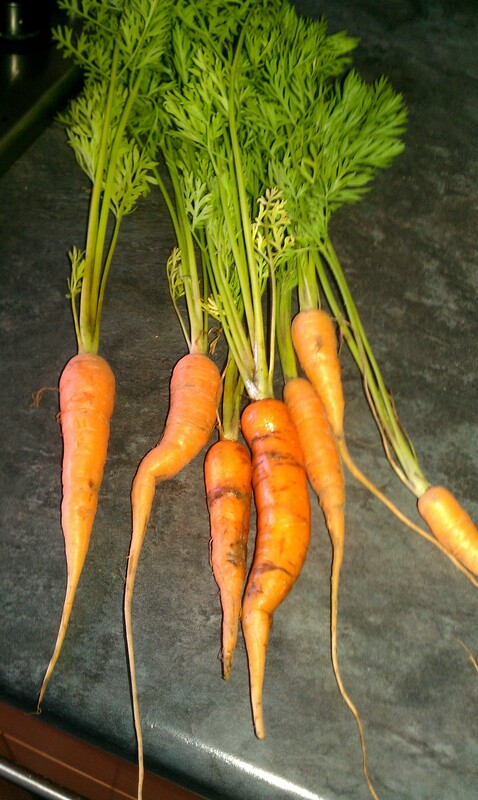 The carrot seedlings have proved very hard to thin out without the stems just snapping off without the roots. Hence not very big due to overcrowding so will have to have a re think for next sowings. 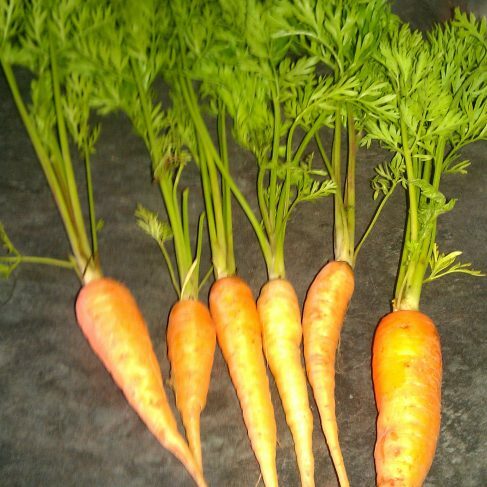 You may see from the pictures that I have some decent sized carrots from one cube but only a few and the ones in the beds are doing well. 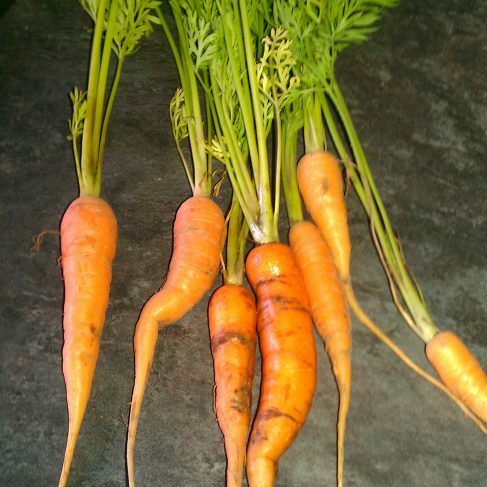 The bed carrots were planted in between my onions, leeks, garlic and perennial onions and so staved off carrot root fly better than the ones in the cube which have been slightly eaten. So with wet weather and slug attacks no-one is very happy and weeding has been a constant exercise in determination. Working in the rain is no fun, watching all your efforts fail is soul destroying but I am not alone. 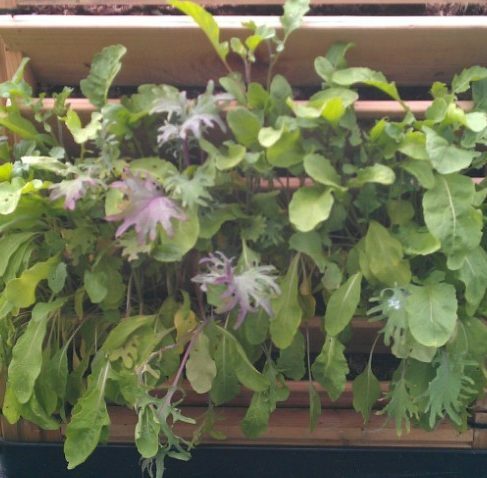 So winter salad to add to the cube and beds next, pull out what is left of the broad beans and get some rocket and lollo rosso or in their place and hope for the best. I am having some success with the herbs and flowers though the wind has taken its toll on the flowers. Beetroot doing well in beds and cube though so fingers crossed. I had a great day on the allotment Sunday despite the showers I cracked on with weeding, sowing and planting ready for the autumn some in beds and agricubes. Luckily the necessity for weeding the agricubes is zero so that saved me a job. The herbs are doing well so I am planting some more. I hope the next report has some better news. At the moment I feel it’s not really a fair comparison as its been an awful year.